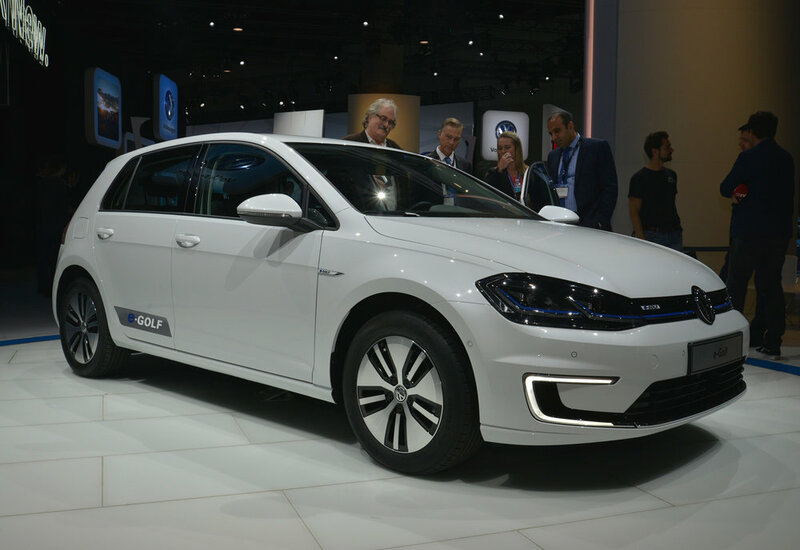 Packing more power and a longer range, the latest generation Volkswagen e-Golf has been revealed at the 2016 Los Angeles Auto Show. 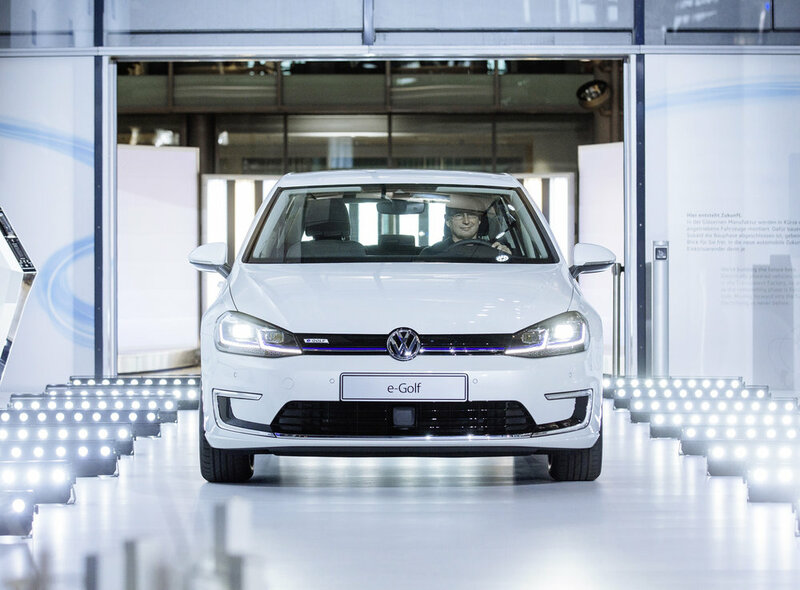 The new zero-emission e-Golf now features fully digital instruments and is the world’s first electric car with gesture control. 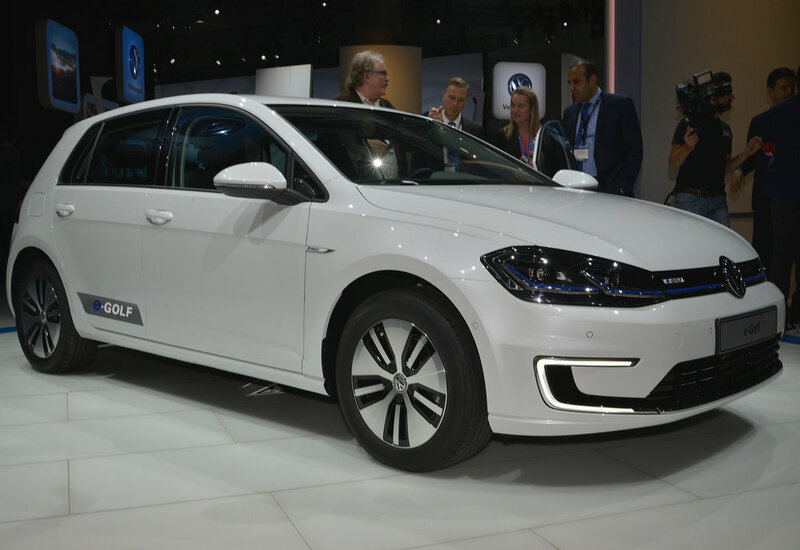 Depending on driving style and the use of air conditioning, VW says - looking at an annual average - the e-Golf will now cover up to 200 kilometres (124 miles) or more in everyday driving, on one battery charge. This represents a range extension of around 50 per cent. A new lithium-ion battery increases energy capacity from 24.2 kWh to 35.8 kWh. The battery can be charged to 80 per cent capacity within an hour at a CCS charging station (DC 40 kW). When charged overnight or during the work day from a wallbox (AC 7.2 kW), the battery reaches 100 per cent capacity in under six hours. 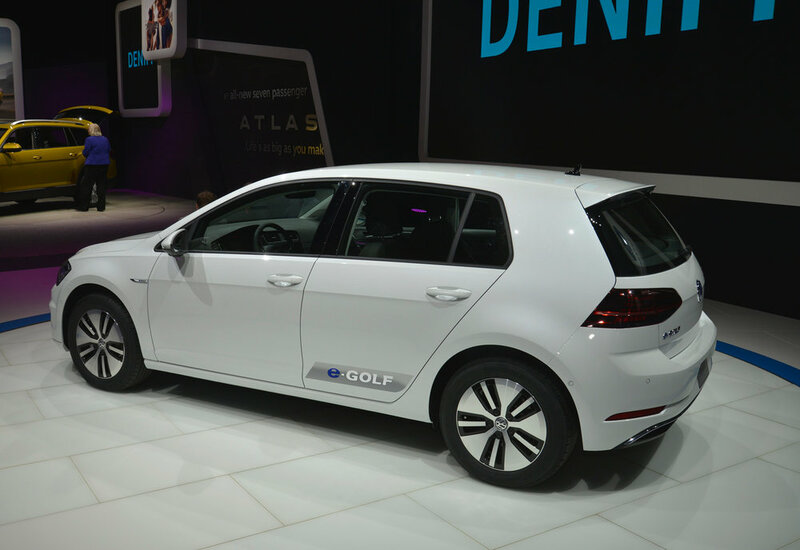 The new e-Golf’s electric motor now develops 100 kW, which is 15 kW more power than the first version of the e-Golf. At the same time, the maximum torque of the electric motor has been boosted from 270 Nm to 290 Nm. VW says the low energy consumption of the previous model has remained constant despite the increases in power. 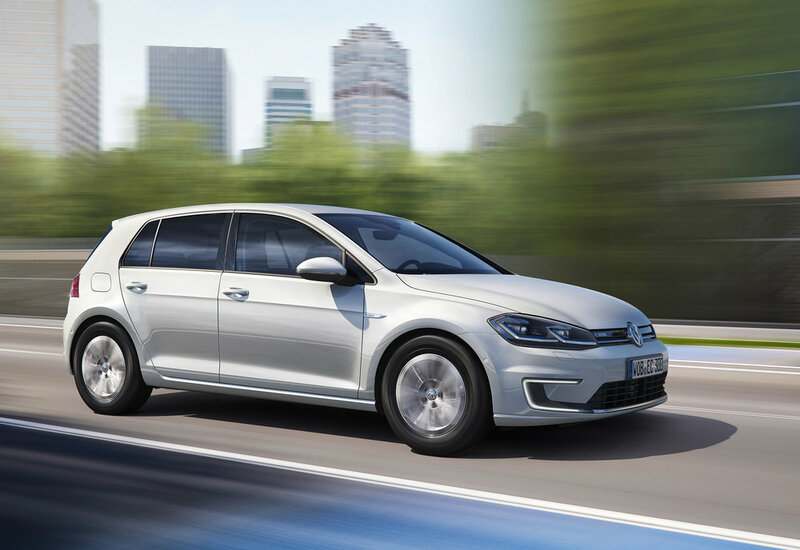 Performance has also been improved with the e-Golf now handling the sprint from 0 to 62mph in 9.6 seconds (previously 10.4 seconds), and its top speed has been increased 6.2mph to 93mph. 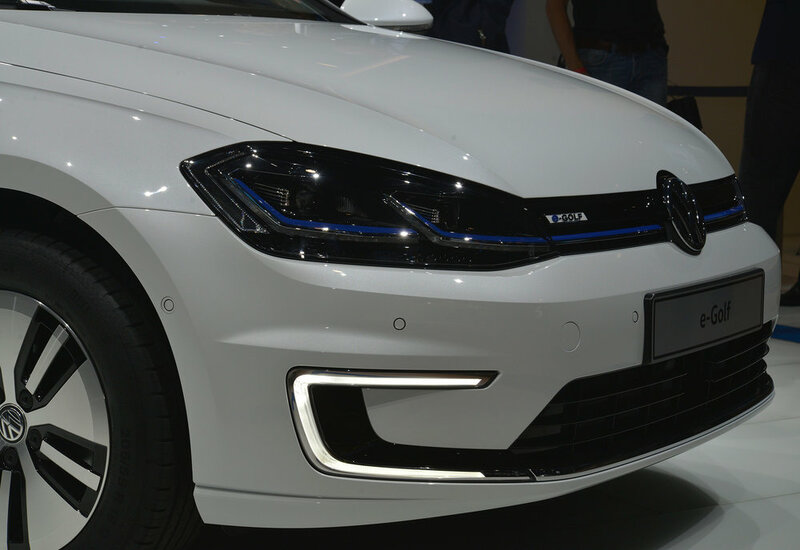 With modified front and rear designs and ‘newly conceptualised’ full-LED headlights with full-LED tail lights, another new feature is the standard Active Info Display (digital instruments). Fully operated by gesture control the new “Discover Pro” is also included as standard. Traffic Jam Assist (semi-autonomous driving up to 37mph) has been added too along with pedestrian monitoring for Front Assist with City Emergency Braking and Emergency Assist (automatic stopping function in case of medical emergency of the driver).